Focus on the things that are positive in your life, and be willing to forget the things in your life that only wear you down. 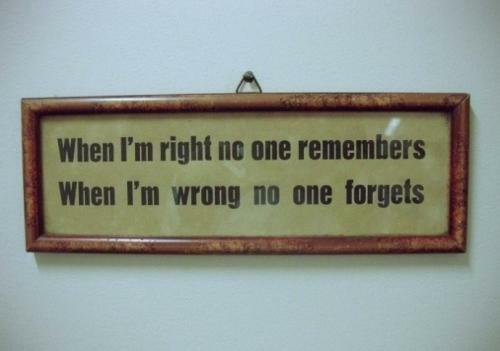 When I'm right, no one remembers. When I'm wrong, no one forgets. Forget the things that make you sad and only remember the things that make you happy. 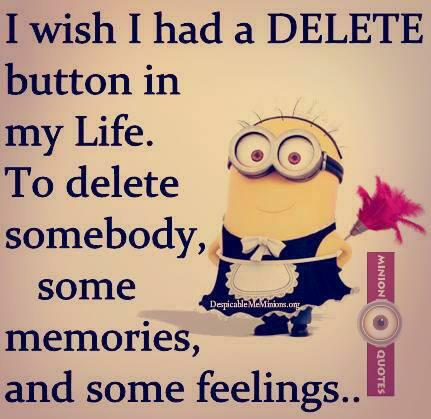 I wish I had a delete button in my life. To delete somebody, some memories and some feelings. 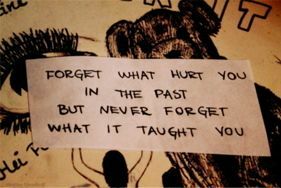 May you never forget whats worth remembering, Or remember what's best forgotten. Forget those people who forget you. Write down your vital ideas and plans in life and keep them safe, because you may forget them when you need them most. Forget means to stop thinking about something. Generally, we wish to forget things or situations which were troublesome and unpleasant and we wish to retain all that is memorable and leaves an indelible impression on our minds. To forget also means the instance when you fail to recall or recollect something. People with a weak memory often forget important dates and events. With increasing age, a person turns senile when he forgets things easily and always speaks the same thing and narrates the same events, repetitively. In the words of Albert Einstein, “Concern for man and his fate must always form the chief interest of all technical endeavours. Never forget this in the midst of your diagrams and equations.” When someone tries to reconcile with you after some misunderstanding, you should always make up with that person. You should know and practise the policy of forgiving and forgetting the mistakes committed by anyone.